Welcome to Bali, Indonesia! 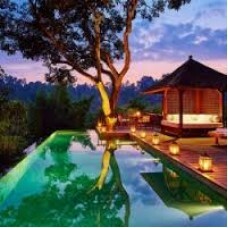 The mere mention of Bali evokes thoughts of a paradise. Upon arrival, you will be met by the local representative who will transfer you to the hotel. The day is at leisure to explore the island on your own. You could choose from the many activities Bali has to offer. Spend the day relaxing on golden sands, swimming in lagoon pools or indulge in an array of activities on the beach. Overnight in Bali. The morning is at leisure for some last minute souvenir shopping or a quick spa session. Later, you will be transferred to the airport for your flight back home. Within 03 Days: 100% of the entire stay. accommodation charge for the intended duration of stay for each room cancelled.